Boat Insurance: Relax and enjoy your boat! - Scarsdale Premier Insurance Agency | Advocate Brokerage Corp.
Boat Insurance: Relax and enjoy your boat! We’ve had some cold days this spring but when the weather clears and the sun is shining, we get a glimpse of the summer that lies ahead! 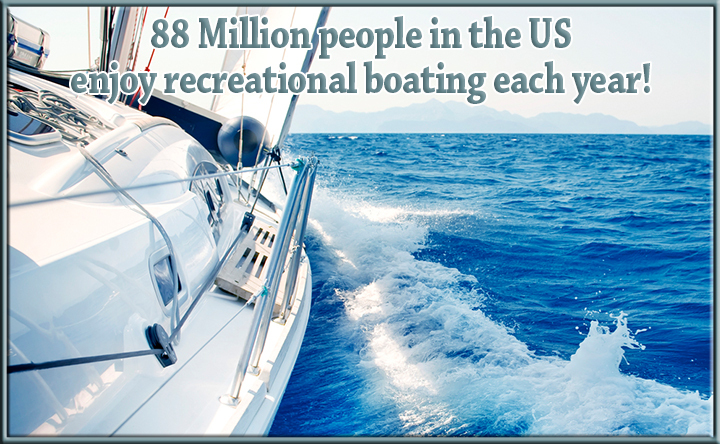 Recreational boating is a big sport here in the US; in fact over 88 million adults enjoy time out on a boat each and every year. We want you to be able to relax and enjoy your time on the water so we have put together a list of things to consider when looking at insuring your watercraft. Agreed Value – In the event of a covered total loss, there is no deduction for depreciation when your boat is covered with an agreed value. Indemnity – In the event of litigation, be sure you have coverage for your legal defense. Medical Payments – In the event that one of your passengers is injured while out on the water with you, this feature allows for coverage of reasonable medical expenses related to the event. Hull Coverage – If your boat needs repair, there is typically no deductions for depreciation for covered losses. Uninsured Boater – If your passengers are injured because of an uninsured boater, they will be protected by your coverage up to the amount of your liability limit. Lay-up Coverage – That allows you to suspend coverage when your watercraft is laid up due to the time of year. Emergency Assistance – Relax and know that if your watercraft cannot reach the shore, the costs for towing are covered. Navigational Limits – That are tailored to suit your needs. Coverage can be structured based on the size of your vessel and your typical itinerary. Hurricane Haul Out Coverage – When a named storm puts a damper on your fun, this will cover the costs you incur to have your boat hauled out of the water. If you tow your boat with your car –Your auto insurance policy would provide coverage in the event an automobile accident damages to your boat. If you park your boat at home – If you keep your boat parked at home, rather than in a marina, your homeowner’s policy would provide some protection. Advocate can review your coverage portfolio as a whole to be sure that you have the type of coverage suited to fit your particular needs. All of this means that with Advocate Brokerage by your side, you can relax and enjoy your boat! We can help you to be sure you have adequate protection for your boat and its passengers without gaps in coverage! If you have purchased a new boat or if you have questions regarding coverage for your watercraft, we encourage you to give us a call.